Sussex Police is committed to improving its response to stalking following the tragic death of Shana Grice. Assistant Chief Constable Nick May, said: “We deeply regret the tragic death of Shana Grice and accept that we have made mistakes in this and other cases in the past. "We apologised to Shana’s family at the time and I reiterate this. “Since then, we have significantly improved our response and remain committed to further improvements to ensure we are delivering an effective and consistent service to victims, to prevent harm and ensure they can access the necessary support. “When we looked at the circumstances leading to Shana’s murder, we felt we may not have done the best we could and made a referral to the Independent Office for Police Conduct (IOPC). “Our former Deputy Chief Constable personally visited Shana’s family to apologise on behalf of Sussex Police. Following Shana’s death, Sussex Police and Crime Commissioner Katy Bourne commissioned an inspection by Her Majesty's Inspectorate of Constabulary Fire and Rescue (HMICFRS) to review the progress Sussex Police has made in its response to stalking and harassment, and a review of the response nationally. This was carried out at the end of last year and the report published today. Mr May said: “The HMICFRS report acknowledges that we have significantly improved our understanding of what stalking and harassment is, and what our response should be. It also sets out where there is even more work to do and we accept this. The inspection has provided a benchmark of progress made to date and we are committed to a journey of improvement. Two police officers, one of whom has retired, will face gross misconduct proceedings, with an independent chair, on 7 and 10 May. Another police officer is to face internal misconduct proceedings. Three other police officers and three members of police staff, have received management advice and further training. Five other police and staff are not to face any action. In a separate case, a police contact handler was subject to misconduct proceedings and received management advice for failing to accurately record information reported by stalking victim Michelle Savage in the period leading up to her murder at her home in St Leonard’s by her ex-husband Craig Savage, who also killed Michelle’s mother Heather Whitbread. Action in both cases has been taken in consultation with IOPC. 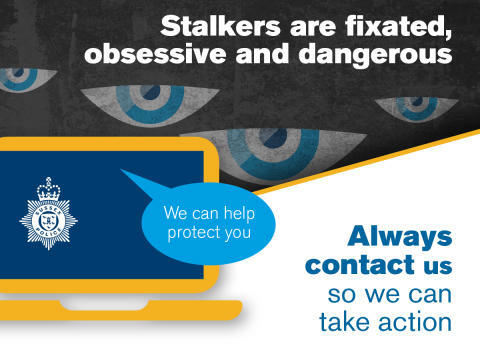 For information about the Sussex Police campaign in support of National Stalking Awareness Week click here. You can report stalking or harassment online or by calling 101 or in person at your local police station. Always call 999 if you are in danger.